Be the best you can be with these essential skills. 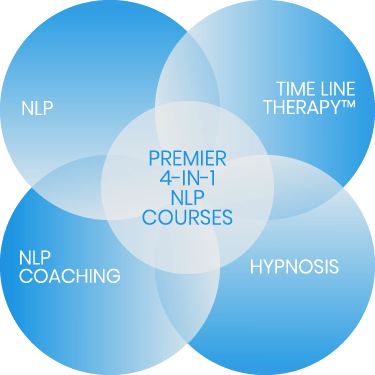 We are often asked why we only offer 4-in-1 NLP Courses. There are shorter cuts to NLP qualifications e.g. online courses, shorter courses and courses with fewer areas covered. Quite simply we believe by combining 4 related expert areas into 1 course our clients receive the very best grounding, knowledge and experience to truly put their new found skills to use. At the end of a course our clients are absolutely ‘Excellent Practitioners’ or ‘Excellent Master Practitioners’, deserving of 4 leading worldwide recognised certifications. We have found that during our Premier 4-in-1 NLP Courses our clients develop more quickly a deeper understanding of, and connection with, the Unconscious Mind, what is possible by using it and the kind of results they can achieve. This elevates their competence and capability and carries with them well after a course has ended. 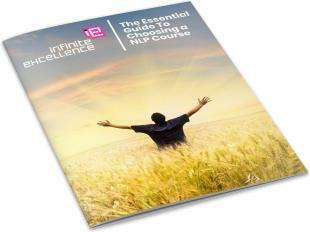 Here at Infinite Excellence we know what You and Your Unconscious Mind are truly capable of. We want to help You take advantage of this capability as much as possible and with just a small amount of time together. We have chosen to provide and promote 4-in-1 NLP simply because we believe it is the very best training and qualification in the UK today.